This Peanut Butter Maple Syrup Pancake recipe is Y-U-M-M-Y! 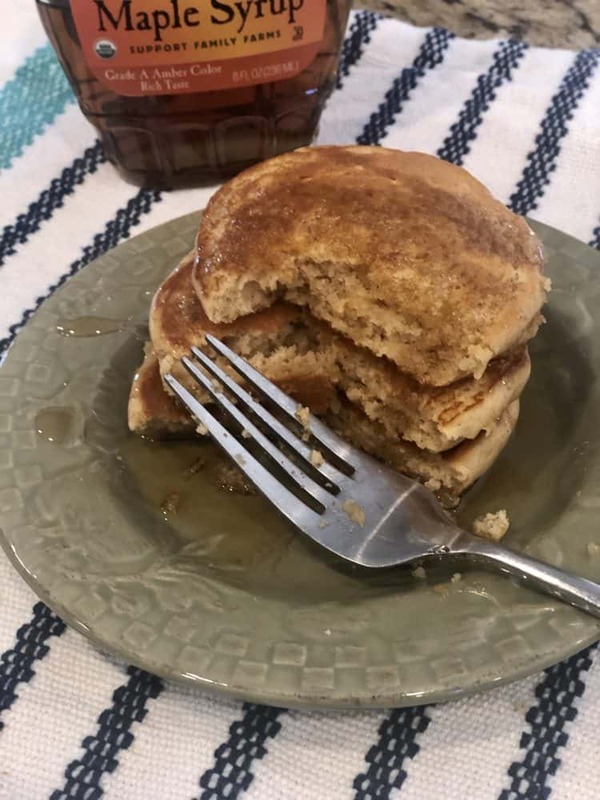 You can eat these pancakes with absolutely nothing on top or you can add just a little touch of maple syrup to finish them off. These pancakes are perfect for a little weekend fun. I always make a double batch and then let them cool, freeze them up and pop them in a toaster on busy weekday mornings. 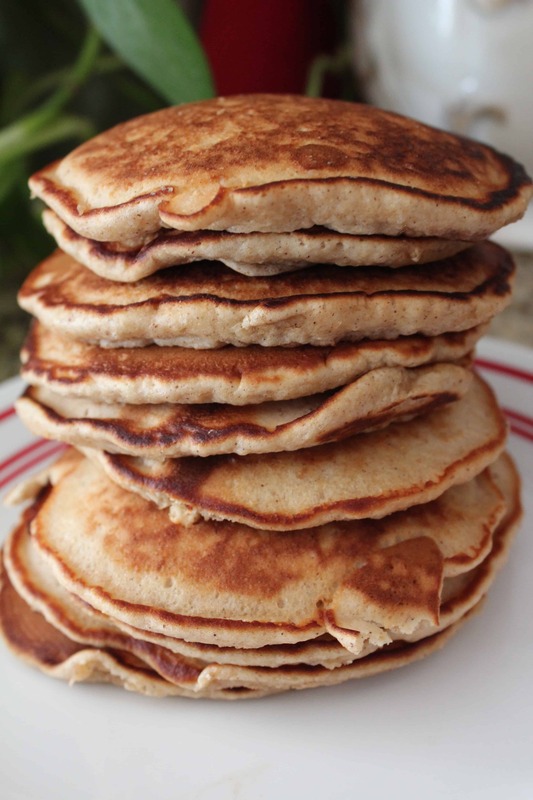 Note to freezing pancakes: Let them cool, wrap each one individually in parchment or waxed paper, place the wrapped pancakes in a freezer bag and freeze. Using an electric mixer, mix the peanut butter, egg, maple syrup and vanilla extract together. Slowly stir in the milk with a spoon. Add in the flour, baking powder, salt and cinnamon to the wet mixture. Mix it together with the electric mixer. Cook the pancakes over medium to low heat in a greased griddle and/or griddle pan. Peanut Allergies? Replace the Peanut butter with the WoWButter® that you can locate in the allergen friendly aisle at your Price Chopper/Market 32 Supermarkets. There are six cities in the U.S. named Peanut: Peanut, California; Lower Peanut, Pennsylvania; Peanut, Pennsylvania; Upper Peanut, Pennsylvania; Peanut, Tennessee; and Peanut West Virginia. There’s so many more recipes in my arsenal of recipes. I have to stop some place (ha ha)….if you want more just message me. We L-O-V-E pancakes and love to share good bites. Hi this is Kristina visiting from Winter Blues Wednesday. This looks so good! Anything with peanut butter has gotta be good right? I think I will try your recipe; it sounds good. Looking at your list, I noticed that you didn’t have pumpkin (add some puree and pumpkin spice) or zucchini pancakes in your list! I make my pancakes in my blender, so blending veggies in is easy. I used to add cinnamon, but I think I’d use pumpkin spice today! When my kids were little, I made zucchini EVERYTHING. Do you know why people in Maine (where I now live) lock their car doors in August? So their neighbors can’t fill up their back seats with their extra zucchinis! I hated math in school; today I am convinced that the only time I use fractions is when I double a recipe! I have not done zucchini though…but do have a spinach one that you can’t taste the spinach in = yummy! Will definitely consider zucchini. HA – love that about the zucchinis …. maybe I’d get tired of it, but right now I’d love it!